The Pool's fashion and beauty editor talks saintly fashion PRs, keeping advertorials relevant, how the data stacks up and the popularity of underwear. The Academy has been quietly forming a group of specialist agencies over the past 12 months. Co-founder Mitch Kaye tells PRWeek UK about the importance of entrepreneurial leadership and why he's impatient to keep growing the business. PRWeek UK talks to W Communications founder Warren Johnson about his ambition, global expansion, the challenge for small PR shops and the demise of traditional advertising. Hanover founder and CEO Charles Lewington discusses his international ambitions and eight-sector expansion plans for the group, and explains why network agencies are "struggling to regain their mojo". It's less than four years young, but fast-growing Incisive Health truly announced itself on the agency scene last year. Sam Burne James met its founding trio. Bell Pottinger's global CEO said the agency restructured much of its business and argues it performed "credibly" in 2016, the year that formidable co-founder Lord Bell left the firm. This year's 30 Under 30 love their jobs and are enthusiastic about comms, but are not immune to the pervasive, Brexit-fuelled uncertainty about the industry's future. While many in the industry have serious reservations about recent international political developments, most global PR chiefs see the uncertain geopolitical climate as good for the sector. Hilary Clinton, Mike Ashley and Sir Phillip Green are among those who have managed their reputations the most poorly in the last 12 months, according to public sector entrants in PRWeek's Power Book. Retail Christmas campaigns: which were the commercial AND creative hits, according to PRWeek? Now the major supermarket and retail groups have reported their festive trading figures, it's time to take a cold, hard January look at which campaigns were Christmas crackers and which resembled turkeys. 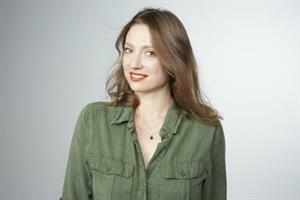 Hannah Hope, deputy 3am editor at the Daily Mirror, on the showbiz life and her favourite PR people. Keir Simmons, NBC's London-based foreign correspondent, talks to PRWeek about his job and how he relates to PRs. PRWeek hosted an unuusal photo shoot for mentees on the Creative Mentoring Project - they were asked to bring an item that represents what inspires them. What got creative juices flowing for our second tranche of mentees? Weber Shandwick and Hope&Glory are leading the shortlist for the PRWeek Awards 2017, the annual celebration of the very best of UK PR. Hope&Glory's James Gordon-MacIntosh makes seven predictions for brands in the year ahead, including fake news, live experiences and whether we've reached 'peak beard'. The crème de la crème of the global PR industry gathered in London tonight to find out who would take home the coveted PRWeek Global Awards 2017. Justin King: "Perhaps PR does need to rebrand itself"
Ask the ebullient former CEO of Sainsbury's what he really thinks about PR and he refuses to answer. "I reject the premise of your question," he says, "because there's an inherent negativity to it." Clare Hieatt, the managing director of UK jeans-maker Hiut, says her company competes with bigger brands via smart social media and 'brand purpose'. Hungary may be going through a period of political change and market disruption, but there are still plenty of opportunities in the mature comms market. We're looking forward to seeing all of our Breakfast Briefing readers tonight at Cipriani Wall Street for the PRWeek Awards. I'll be at table 47 if you'd like to stop by and say hello.